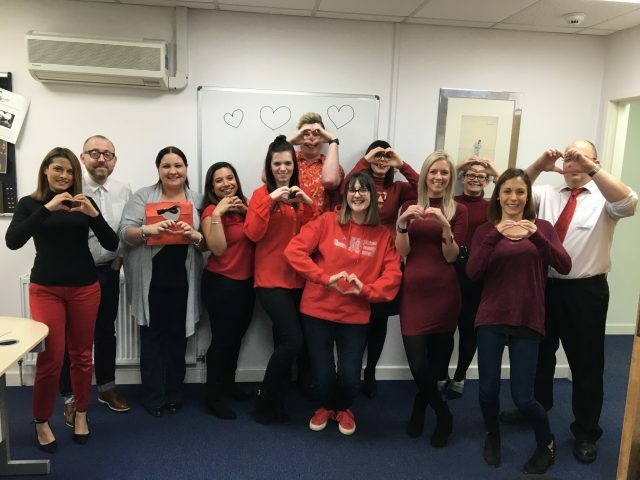 Here at Keenpac on the 14th February, Valentine’s day, we showed our support to local children’s charity Heart Link when we participated in wearing red as part of CHD (congenital heart defects) awareness week. Heart Link (East Midlands Children’s Heart Care Association) Registered Charity No. 513946 was formed in 1981, as a support group for parents and families who had a child suffering from a heart defect. Over the years they have also become increasingly committed to improving facilities for our young patients, their families and providing much needed valuable medical equipment. every penny raised is used, in some way, to benefit the children and their families. We raised a total of £35.65 for the charity. The team at Keenpac put in a fantastic effort and showed great charitable spirit.